Why Christians Called "Haters" And "Biggots"
Why are Christians being called “haters” and “biggots?” New opinion polls on the Christian identity are alarming. Host of ChannelMom Radio, Jenny Dean Schmidt, offers a candid response to these Christian labels might shock you. Jenny tackles the political and spiritual position of Christians (like her). 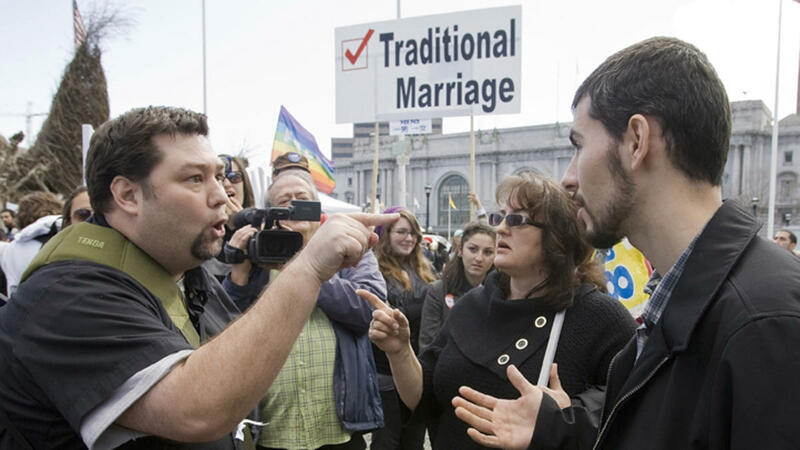 Do Christians deserve the “gay hater” label or is it time to present an alternative view? New research has been released, revealing a dangerous, new trend in people’s opinions of Christian folks. Bestselling author, Philip Yancey tackles the touchy issue in his new book, Vanishing Grace. See if you agree with Yancey or Jenny’s response to the debate of Christian politics, image and perception.